John Nurminen Events B.V. specializes in developing and producing large scale touring exhibitions. John Nurminen Events’ blockbuster production is NASA – A Human Adventure. It is a thrilling journey into the history of the NASA’s manned space flights and the Space Race. NASA – A Human Adventure exhibition tells an inspiring story of NASA’s remarkable accomplishments in manned space flights and space exploration. The exhibition shows almost 300 historically significant artefacts from the U.S.’s and Soviet Union’s space programs – many of which have come back from space. 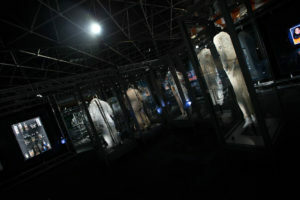 NASA – A Human Adventure exhibition has toured around the world since beginning of 2011.